D E S C R I P T I O N : The piece, carved from limestone to be later cast in bronze, was inspired by the book Echo of the Elephants by Cynthia Moss. Ely is Echo’s calf, who was born unable to walk properly, but was ultimately able to overcome his difficulty. 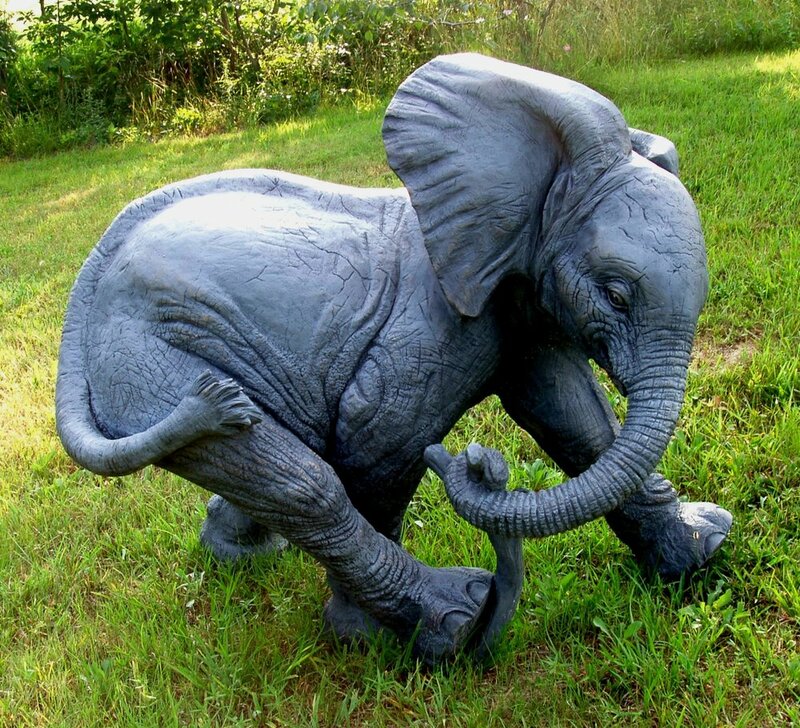 The sculpture shows him happily playing. D E S C R I P T I O N : An elephant calf tickles itself with a bunch of Marula leaves droppedby an adult. "My work usually has a narrative focus as most of the work is inspired by either myths, stories or concepts that define the commissioning agency." Meg White grew up in the suburban neighborhood of Silver Hills in New Albany, Indiana. Meg is a self-taught sculptor who discovered the three dimensional process through paper sculpture. She was a free-lance commercial artist from 1987 until 1991, using her paper sculpture as the primary medium. Her clients included Sesame Street, General Electric, Chi-Chi's and Gibson Cards. In 1991, Meg discovered stone carving at Don Lawler's studio and began to create wildlife and figurative works on a full-time basis. Meg now produces limited edition bronzes as well as small and monumental-scale works in stone. 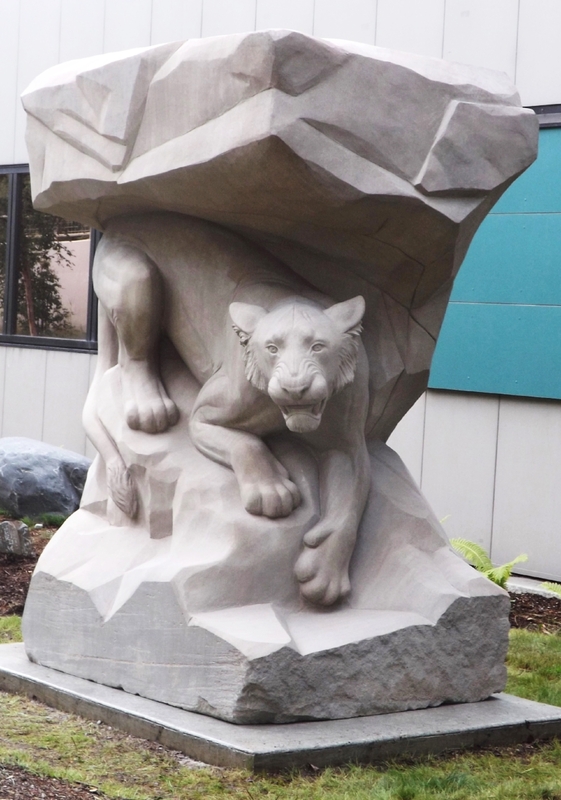 She has created sculpture for private residences as well as for public display; her most recent commission is an American Lion carved from a twenty-ton block of Indiana Limestone for the University of Alaska, Anchorage.